After almost 6 years of not being able to spend the Christmas holidays in my home country, we were finally able to this year! The previous events that took place before our flight and the last two weeks since we arrived has been a whirlwind of activities so that explains the absence and inactivity in this blog. We landed safe and sound and was met with warm hugs and an even warmer and humid weather at 31°C. It felt so good to set foot on Philippine soil again, although the landing was quite scary since we weren't able to land on the first attempt. Our little girl was finally able to meet her cousins and play with them. Although language is still a problem, they were able to understand one another through gestures and play. It really felt good to be home again, to see familiar and old faces, hang out at restos serving our favorite Pinoy fares, go to the beach, or just stay home to talk with family. I still have lots of things that I want to do while here and I am savoring every minute of it! "Winter is coming..." This has always been a Stark word just as the Lannisters always say. "A Lanister pays his debts." But I am not talking about the TV series "The Game of Thrones" nor about the book where the series was based on but of the weather. The last weekend of October saw us with the first signs of winter: snow. It was snowing last weekend, and quite heavily at that, especially in the high areas near the suburbs. It was indeed cold and I wasn't even ready for it as I haven't washed my winter jacket yet! Waahhhh!!! I had to make do with three layers of shirts and another jacket that is suitable for mild, cold weather. It was a good thing that my hubby had a look of the weather forecast the day before so that he was able to change the car's summer tires to winter tires. Otherwise, it would be difficult for us drive around the city in the snow since the roads can be very dangerous when driving without proper winter tires. There was also a weather warning on widespread frost in our area issued by the Deutschen Wetterdienst yesterday so that drivers should take extra care. I don't know how to play the piano but I do appreciate the beautiful music that it brings each time. Because we don't know how to play the piano, we obviously do not own one. Perhaps that will change now that our little girl is growing and she is interested most of all in music and dance, particularly ballet. I just know that one day, one would need to learn how to play the piano and play a few pieces that the little girl can dance to or for her to learn a few pieces herself. But where to buy good quality pianos? I know there are a number of trusted and good piano dealers here in our area. I think I saw one near the Feuersee station and they offer among others, the finest Steinway pianos. I haven't got a chance to come into the shop yet but I know that I would learn a lot about pianos from this piano dealer, as expected for most piano expert consultants. I think a good Piano Dealer should offer free consulting service prior to sales so that the customer is guided in making a decision. They should also offer the option to rent a piano unit if the customer only wishes to use it for a specified period of time. It would also be great if they offer piano instructions or can refer customers to reputable piano teachers or music schools offering piano lessons. I have a piano app on my phone which is designed for children. It is not much as it only has the basic 8 notes but my little girl has learned how to play Happy Birthday and Twinkle, Twinkle Little Star with it. With a real piano, the possibilities are endless. It would indeed be a wonderful past time for my little girl. Who knows? 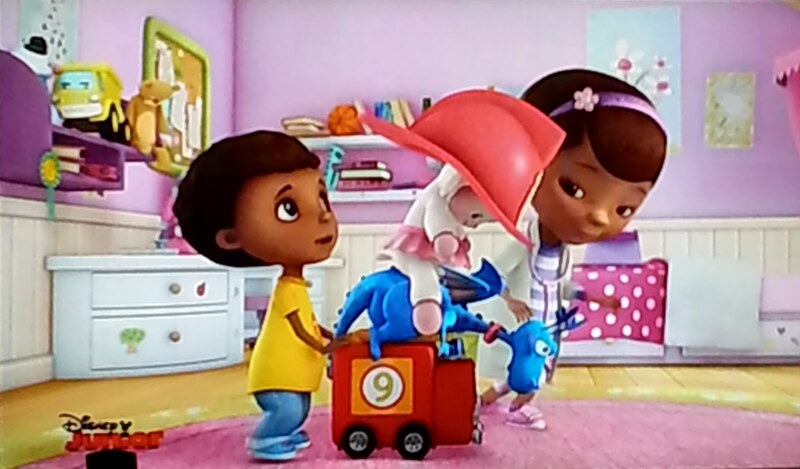 Doc Mcstuffins is about a six-year old girl Dottie Mcstuffins who wants to become a doctor like her Mom when she grows up. Therefore as a six-year old, she already takes care of needy patients. Lovingly she takes care of exhausted racing cars and torn stuffed toys, so that her toy friends call her Doc. 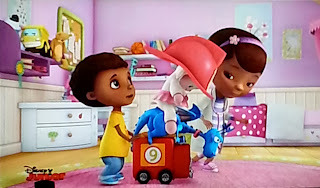 Every time she puts on her stethoscope, the toys magically awake and come to life, allowing her to speak to them and find out how they can be cured again. Always on her side are Stuffy the proud stuffed dragon, the cuddly sheep Lambie, the careful hippopotamus Hallie and the hypochondriac snowma Chilly. Together with her friends Doc always finds the correct treatment for the toys. From the stories, children learn how they themselves stay healthy and why they must have no fear of the doctor's visit. I have been blogging on and off since 2008 through the encouragement of a friend. Anything just goes for my "mixed bag" blog. I blog just about anything, which is how this blog is called. Setting up a blog may sound easy but it actually takes more than just posting. It is quite easy to set-up a blog but to sustain it and obtain loyal readers is an entirely different story. To create a successful website or blog, there are some things to consider. For one, you need to consider readership. Who is your target audience? Once you know your target audience, then you need to think of what topics they are most interested in that is also in line with your interests. 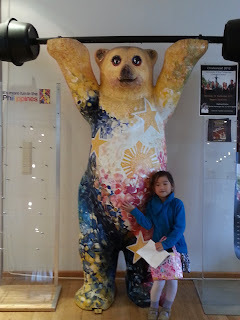 When I first started with blogging, I thought about my family and friends who I left behind in the Philippines and thought that it would be a good idea to blog about my experiences, adventures and travels in a foreign country. Ideas do not always come so that sometimes, it is difficult to write. When you start your blog, try to ask yourself if you will be able to post at least once a week on the topic that you have chosen. If the answer is YES, then you are on the right track. If it's a NO, then you have to rethink whether it is a good idea to start blogging in the first place. Blogging entails passion and if you don't have the passion to write about the things that you love, then it would be for naught. Reaching out to blog networks and making it a habit of responding to comments and commenting on other blog posts as well will also help to make your blog seem more interactive and reach out to people. This will also give you an idea whether your posts are relevant or interesting to your readers. These are just some of my thoughts. As I am no blog guru, you can always google "how to make a website" to learn the technical and not-so-technical aspects. You can also check out http://www.hereshowtomakeawebsite.com/ for a step-by-step tutorial on setting up your very own website. Since we are going home for the holidays and my daughter's passport is expiring in five months, we thought it would be best to renew it the soonest possible time. Why Berlin? It is indeed a loooong way from where we live but Berlin is the only consular office that offer passport services among other things. So we don't have a choice. 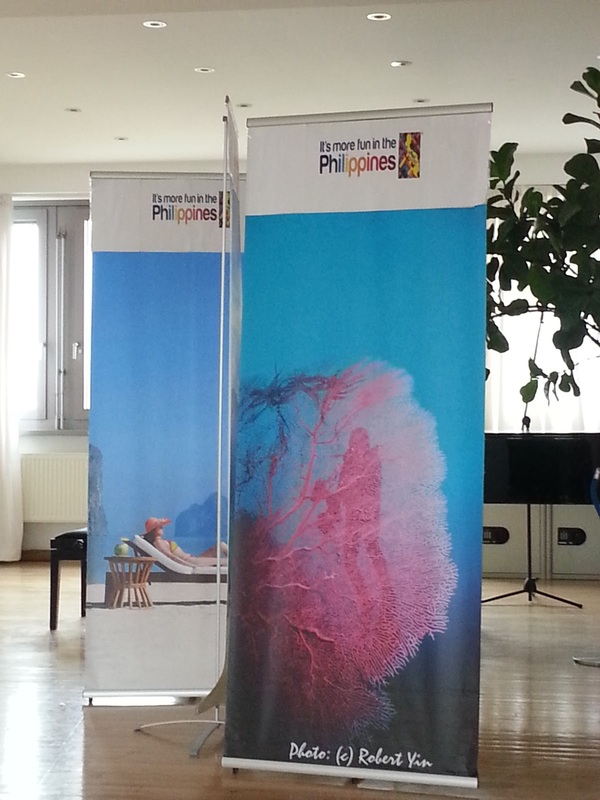 Before, the Philippine Consulate office in Frankfurt still provided passport services but since the ePassport went in effect last March 2011, processing of passports is only accepted in Berlin. So me and my little girl went to Berlin for a couple of days to apply for a new passport. The weather wasn't cooperating en route and even while we were in Berlin. Thankfully, my little girl was up for a little adventure in the city as we tried to navigate our way from the Berlin main train station to our hotel, riding the train to get to the embassy office, etc. and all that while it was raining intermittently. 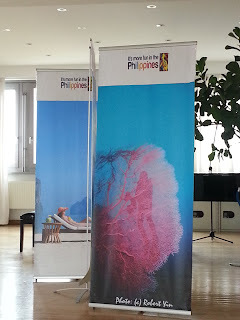 Unlike the other embassies which are mostly located in the "Embassy Quarter" on the Tiergarten, on the Unter den Linden and around the Brandenburg Gate, the Philippine Embassy in Berlin is located on the 6th floor of the Uhlandstrasse 97 building. To get there, one needs to take the U7 train and get off at Blissestrasse and take the Uhlandstrasse exit. The building is just across the street and you can see the Philippine flag right above the main entrance of the building. A prior appointment is not necessary so we just went there. 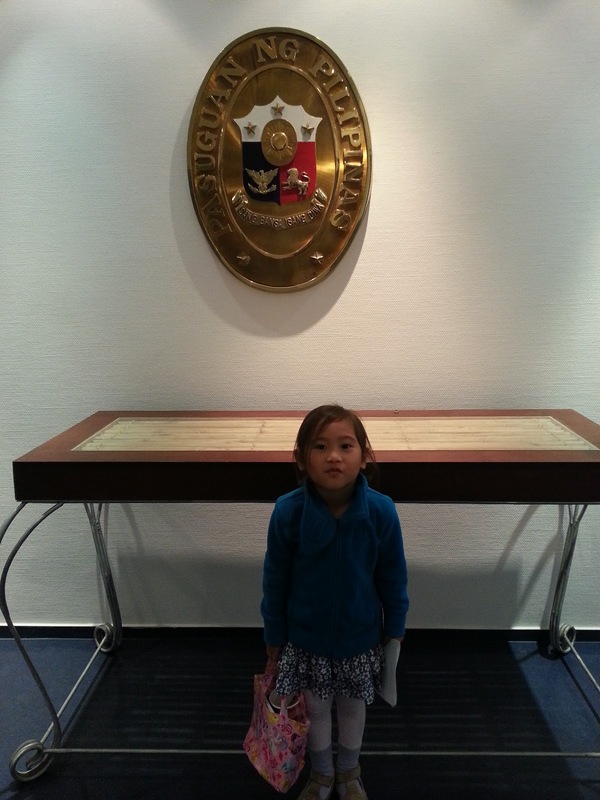 I filled up some forms for my daughter and also for me for the overseas absentee voting registration. Then we paid €60 for the passport and waited for a while until we are called for the capture of biometric data. I guess it took us less than an hour to get everything done. Next, we need to wait for a few weeks (a minimum of 30 working days) before the passport is ready, which the embassy will send us via Post. On our way out, we decided to take some photos of the Embassy. My little girl especially loved the bear painted with the colors of the Philippine flag. And that was our next activity... "Bear Hunting in Berlin". It's already the -BER months and for most of us, it means that Christmas is just around the corner! 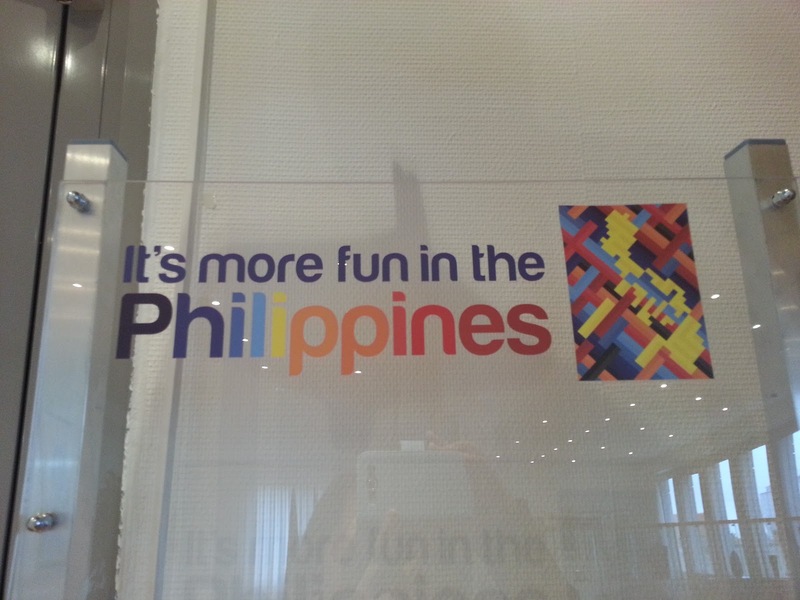 This Christmas will be more exciting for the three of us because it will be our first Christmas in the Philippines. It has been more than three years since we visited our homeland and going home during this season is just the perfect time to come home! Oh, there will be lots of things to prepare before our trip since me and my little girl are staying behind a little bit longer. I am giddy with excitement though! I guess I miss the way we Filipinos celebrate Christmas and how we always celebrate it with the family. 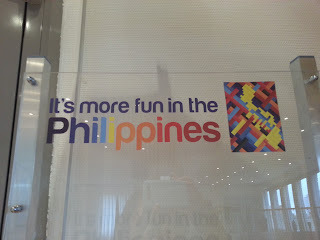 What I miss about celebrating Christmas in the Philippines was the gift-giving. How those who have more to share willingly give to those who have less. It is indeed a good reason to shower our loved ones with gifts of love. I haven't started my Christmas list yet but I could include sterling silver jewelry for the cousins. And my nephew has been asking for a gadget. I wonder if I should buy him one... And what of my siblings and parents and nephews and nieces and the entire clan? I don't know what I should give them but just thinking about being able to share the blessings we received is more than enough to give a smile on my face. Yup, being home for Christmas this year is a well-earned gift indeed! A Garden Full of Pumpkins!!! Yesterday, we went to the Blühendes Barock Schloss in Ludwigsburg to tour some friends from Goettingen, Germany. We did not go to the Märchengarten or the botanical garden or toured the castle but followed the pumpkins until it finally led us to the garden full of pumpkins! Schellenursli, a famous character from a famous Swiss children's story. Heidi's little cottage. Heidi is a famous character that I love as a child. The Rütlischwur: the legendary oath of Old Swiss Confederacy. Yes, the Kürbisausstellung (Pumpkin Exhibition) at the Blühendes Barock (BlueBa for short) is still ongoing! 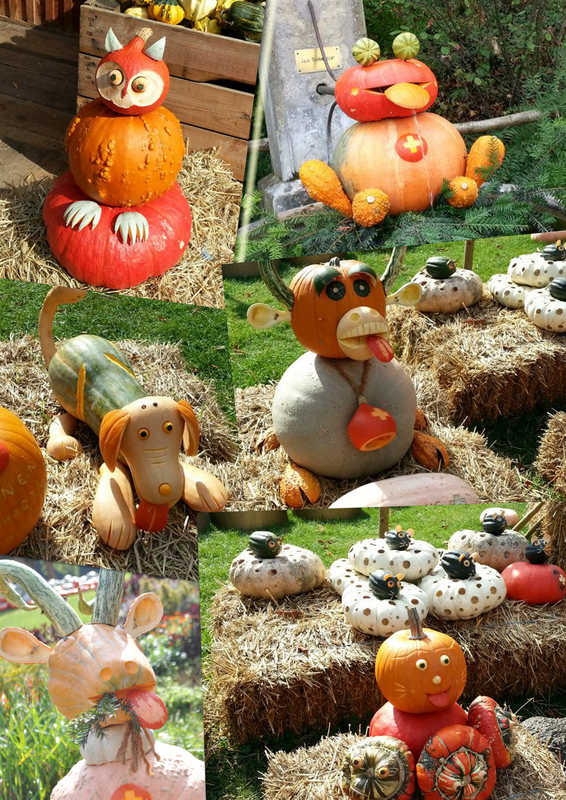 It's the Swiss' turn to impress this year as the pumpkins depict anything Swiss: the Swiss knife, the Swiss Alps's highest peak the Matterhorn, the Swiss Alphorn player, the Rütlischwur (the legendary oath of Old Swiss Confederacy) and Heidi's hut to name a few. Cute animal pumpkins! Which animal is your favorite? It was very impressive indeed, with so many pumpkins in different colors, shapes and sizes. The garden was even packed with people, since the weather thankfully cooperated. :-) There's more special events lined up in the coming days for the Pumpkin Exhibit so if you haven't been there, visit it! The exhibit runs until the 4th of November 2012. It has always been hubby's dream to go backapacking around Europe. Problem is, he can't find the time. Not yet. Our daughter is still small and he just cannot drop everything at work and go on vacation for a few weeks. It needs some planning too, at least for the order of countries that he would like to visit. He also needs good kelty backpack and perhaps some camping gear too if he wants to stay in camping sites along the way. I always find a house welcoming and "alive" when there are plants about. Ornamental plants have always been a part of interior room decor because of the many benefits that it provides. But did you know which greens are good for your home? Here is something that a friend shared on Facebook that I thought would be interesting and helpful if you are planning on putting plants inside your home. Since you are putting plants inside the home anyway, why not choose the ones that will be beneficial to your health? These plants do not need much maintenance too. You just need to water them regularly, add fertilizer every now and then and place in areas inside the house where they can get some sunshine. Nothing adds value and importance to your resume like a Cisco certification. Earning a Cisco certification in several specializations is possible by taking the certification tests. Registration is done through Pearson VUE and the test must be taken at any one of their worldwide testing centers. Before taking an exam, candidates must thoroughly train, study, and prepare; this can be done in many ways. Popular options include the Cisco-certified training resources, such as classes, videos, and textbooks, as well as www.testslive.com, an independent training program that offers a valuable practice exam, among other resources, which cover all aspects of each exam. The exams differ in level of difficulty among fields; the exam length, type of questions, resources, and materials also differ. However, most fields include three types of certifications that can be earned. The first is the entry level exam certification, which requires knowledge of basic terms and concepts. It is required for the associate exam certification, while both are required for the professional certification and all three are required before the expert certification can be earned. Cisco is often the vendor of choice for individuals looking to expand their knowledge for a variety of reasons. They allow participants to take any test(s) of their choosing; their structured certification program allows for minimum and maximum learning, based on the amount of time, work, and commitment an individual is willing to put forth. With this level of interactivity, participants can use Cisco to gain practical knowledge of a specialized vocation. Are you pregnant? Are you tired most of the time and would just want to le down in bed? The more tired you are, the more reason it is for you to get moving. Being pregnant is not an excuse to stop doing any physical activity and just lie in bed all day long. Maybe if you have a delicate pregnancy, your obstetrician will recommend a complete bed rest if it would mean saving your baby but for women having a normal pregnancy, regular exercise is also needed. You need not overdo it though, otherwise, you will harm yourself or your growing baby. One good exercise when pregnant is swimming. It is considered the safest exercise for it poses a very low risk of injury. Swimming is a low-impact exercise that uses the large muscle groups in the arms and legs. Despite being low-impact, it provides a lot of benefits. It provides good cardiovascular benefits, improves circulation, increases muscle tone and strength, and helps build endurance, which are good for you and your growing baby. So get on your feet and put on those Maternity Swimwear and hit the swimming pool. Just take it easy and don't overdo it though. And consult your physician or midwife before you go swimming, especially if you haven't been swimming before your pregnancy. My little girl enjoys playing outdoors. Thankfully, there is a neighborhood kids playground and park near where we live so that we can go there whenever we want. I was exhausted after working for my master's thesis and my little girl and hubby decided to meet me at the park. It was really fun to be playing with my daughter. She has this never-ending enthusiasm and energy about her that is just so refreshing, you can't help but be happy and forget all your series. And here are some of those priceless photos that I took while we were playing at the playground. She is just so adorable and I love her to bits! And with that smile on her face, the laughter that rings in my ears and the face that lights up with happiness, I realize how blessed I am. This is my little piece of heaven here on earth... and I wouldn't want to trade these wonderful moments with her with anything else. Grey's Anatomy. I first learned about this medical drama series from my sister last 2007 when she came to Japan to visit us. I guess it was aired late in my home country too because the first season came out in 2005. I guess I am not that updated anymore when it comes to western shows since there aren't many English channels that the cable company is offering. I enjoyed watching how the lives of medical interns and residents unravel with each medical emergency and procedure. You can almost say that I have a penchant for medical professionals because I had a two-month long experience with them when I had an accident as a kid. I also find the profession very noble in that they help sick people get better. They would do as much as they can to save a life. The part I love best in the series is when they need to do surgical procedures. Although only fictional, it felt like you were also in the same operating room with them. And when they don on their blue scrubs, which is almost always, I just can't help but wish I were a doctor or a nurse too. Maybe I should look for cheap nursing scrubs so that I can also look like a medical professional. I can even play doctor - patient with my little girl, who is also fond of playing pretend and who is the best doctor there is whenever I am feeling down. Yes, she equates swimming to a vacation! And we need not go that far... We only need to take the train to get to the outdoor pool or Freibad as they call it here. So one hot Tuesday afternoon, we went to Möhringen Freibad. When we got there, we headed directly for the kiddie wading pools (Kinderplantschbecken), which is a series of 3 pools, water cascading one after the other. The water was only knee waist-deep (my daughter's height as reference) so it is safe enough for little children. And since she is all geared up with her swimming accessories, we feel twice as safer. My, did she have a lot of fun! There is also a playground adjacent to the pool with a sand box and water system where children can be creative and make sand castles. Plus there is an "Idiana Jones" ride that my girl really enjoyed! Celebrations have always been a part of life. Whether birthdays, baptisms, anniversaries, thanksgiving or congratulatory parties, we always gather around to celebrate with family and friends the milestones that we go through in life. To make the celebration more memorable and remarkable, we even put up a printed tarp, with a specially designed graphic or layout customized for the person or the celebrant. My cousin's layout for my little girl's first birthday. The theme was Winnie Pooh and friends. The layout I made for my daughter's tarp on the occasion of her Christening and first birthday. I remember my cousin making a very beautiful layout for my little girl's christening and first birthday celebration. She had it printed on white poly tarp and it was quite big, it covered half of the of the wall of the party venue. I also made a design for my daughter that my cousin kindly printed as well. When there are family gatherings, it is of course important to prepare a place where everyone can move around and socialize. Outdoor gatherings are one of my favorites because they offer a sense of openness and freedom. But in my country where the weather can be unredictable, it is important to prepare for those weather changes so that the celebration can go on, rain or shine. So what we do is put up garden tents with canvas tarps - they help keep the heat and the water away. Of course, there's always music and food. For what is a family gathering or any gathering without these? Of course, to keep the little ones busy, we make it a point that there are games for the little children. And prizes, giveaway items, and loot bags too! Yes, that's how we celebrate. More or less. Freshwater pearls for many generations have been the huge craze, fashion trends exploding, brides going nuts for the newest collection, and most importantly thousands worldwide participating in the trend. These gems, being the only ones created from a living organism allows for limitless diversity amongst the different varieties of shapes and colors. They are in fashion trends around the world and they can’t seem to escape the hearts or any women. These gems are way too desired without the high price that everyone seems to assume they are. These natural gems are worn by thousands throughout the nations and will continue to become more popular. Not only do they have powers to enhance your life, they also are very unique and diverse from each pearl, creating the statement of individuality. Personally I love them so much that I have a few sets of my own. I wear them every day, any occasion, and just about every second I get the chance to show them off, I do! The accessories I love the most are my pearl necklaces. They are beautiful with each outfit I wear and they always happen to complete my outfit in a way I didn’t think was possible. Jewelry is a huge fashion statement and to follow all the latest trends, pearls are always incorporated someway. The simplicity with accessories like them is a wonderful thing to invest, because they honestly go with everything you have in your closet. It is a real challenge to find something they do not go well with. The extra special thing about these gems is because they are always in style they can be passed down from generation to generation and will always look just as great! Start a new family tradition and find your pearls today! After giving birth, many new mothers are interested in getting back in shape but don't know where to begin. Eating a healthy diet is an important part of losing baby fat, but beginning an exercise program once you're ready is what will really help you lose excess weight and start looking and feeling fantastic again. Having a newborn at home can make getting to the gym difficult, but there's no need to fret, because there are plenty of ways you can get fit while watching your baby. Here's a look at how you can accomplish this. If you're like many moms and haven't exercised in awhile, don't jump right into an exercise program. Instead, promote your success by easing into it slowly. Don't ever strain yourself, and consult a doctor if you want to be completely sure that you can safely begin exercising. Your doctor, who was helpful in recommendations for options like pain management methods, banking cord blood, and circumcision, can be very helpful in making recommendations about the best way to get back into shape. Walking is possibly the best way for new mothers to get fit. It's gentle, easy and totally free if you go outside instead of using a treadmill. There's no need to find a babysitter, because you can simply put your newborn in a stroller for each trek. If you feel like an extra challenge, you can wear your baby in a carrier while you go for a walk. Whether you take your baby along in a stroller or a carrier, your child will benefit greatly from the stimulation of the varied surroundings you encounter together. One great thing about walking is its versatility. By simply walking uphill or varying your speed, you can easily modulate the intensity of your walk depending on how you feel each day. Whether you're in the mood for a challenge or a relaxing stroll, the choice is yours to make. If you prefer to stay at home or don't feel like going for a walk, you can always do yoga or aerobic exercises in your living room while the baby is sleeping. When you want results fast, a program combining strength training, or yoga, and aerobics will get you in shape more quickly than either alone. Bigger muscles from yoga will give you a faster metabolism that burns fat around the clock, and aerobics will help burn fat by further elevating your metabolic rate. To get started on an indoor fitness program, you may want to either watch yoga or exercise videos, or purchase a machine such as a stair climber or stationary bike. Depending on where you live, you may even be able to find exercise classes where the two of you can work out together. Of course, you can also work out together at home. This will help strengthen your bond and teach your child healthy habits as they grow older. After giving birth, many mothers have trouble adjusting to eating for only one again. Once you recalibrate your dietary habits, you'll be coasting along toward your fitness goals. With a combination of healthy food and plenty of exercise, you can count on looking great again before you know it. This article was written by Katie Moore. Katie is an active writer within the blogging community who discusses maternity, motherhood, prenatal health, childbirth and other topics within this niche. If you have any questions or would like to connect with Katie please contact by visiting her blog, Moore From Katie or her twitter @moorekm26.